BGGE recognizes that deciding on whether or not to pursue a MBA can be a tough decision. Because of the academic, financial, time, and stress considerations, many entrepreneurs opt for only an undergraduate degree - while others will find that a community workshop, business seminar, or a free online business course will suffice. BGGE offers this segmented guide to help you plan, prepare, and ultimately succeed in business school. But you'll also find checklists, tips, articles, and other useful tools if you decide on an alternate educational path. Definition: Marked by interest in or preoccupation with oneself or one's own thoughts as opposed to others or the environment; shy or reserved. Deciding which business school to attend is one of the most important decisions you will ever make. Get tips that will help you choose the business school or undergraduate school that's right for you... About.com comprehensive business school sub-channels include admissions, careers, & business school life links. Baldwin Wallace College's free downloadble/printable pdf file. This planning guide site offers "smart college planning guides & tips". FREE College Tracking Worksheets (Excel & pdf) - college cost comparison worksheet, college search tracker & comparison worksheet, aid tracking sheet, college budgeting worksheet. Assessing your personality, interests, and skills now will help later when it's time to choose a career. This is not your usual checklist. You will be taking a very close look at your current skills—and whether you are ready to take the next step in your career with our Pre-Graduate Business Study Self-Assessment Checklist. A "map" of the many facets of the corporate world and of the best business degrees currently available. BusinessSchoolEdge.com also provides a business school locator and other career information. Compiled by the US Bureau of Labor Statistics, this A-Z Occupations Handbook includes a description of the work, training and education needed, earnings, expected job prospects, what workers do on the job, and working conditions --- as well as job search tips, links to information about the job market in each State, and more. Register online for the SAT, view and send your SAT scores, and find all the information you need — including exam dates, fees, test centers, etc. — for the SAT Reasoning Test™, SAT Subject Tests™, PSAT/NMSQT, AP, and CLEP. SAT/ACT prep program on the internet based on the Demystifying Standardized Tests program. Parents and students can now use the Internet to review campus crime statistics for colleges and university campuses online. Online resource for students having problems with their roommates on or off campus. 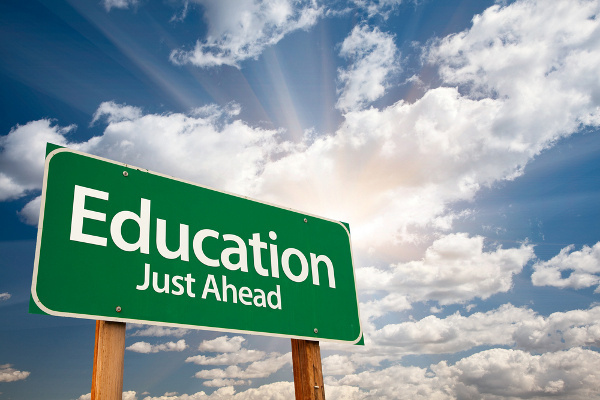 In addition to helpful campus safety information and resources, CollegeView also offers the following information to help the college-bound student choose an ideal educational pathway: College Student Internships, College Life Quotes, College Scholarship Money, etc. Find colleges based on location, programs, tuition, distance learning, evening courses, and more. Save your favorites and compare up to four colleges. College planning site with over 1200 virtual college tours - You can also view all kinds of college planning information about choosing a college, student financial aid, campus life, career exploration, student loans, scholarships and more. Use our free scholarship search to find money for college or register for a chance to win a scholarship! GSE offers summer, quarter, semester, and year-long study abroad programs in Europe, Australia, and South America. Expand your college education by studying in Barcelona, Granada, Madrid, Paris, Florence, Rome, London, Sydney, Guadalajara, and Buenos Aires. Locate schools and get other useful information about applying to a MBA program. Prepare & register for the GMAT. MBA Alliance offers a guide to top MBA programs, online MBA programs, mba schools, executive mba degrees, application information and MBA job opportunities. The MBA Program Information Site. We have the answers to all your questions about MBA applications, programs, careers, and more. Online and campus program finder tool. Getting a business education doesn't have to be expensive. An increasing number of colleges, universities and even nonprofit organizations offer free business courses online. Find out how you can sign up for these courses and what you can get from them. SBTN is a virtual campus offering online courses, publications, and other forms of technical assistance. Courses are self-paced and take about 30 minutes to complete. A brief online registration is requried. BusinessSchoolEdge.com provides a helpful guide to the process. Applying to college takes thought, effort, and organization. CollegeBoard.com tools and expert advice can help you keep track of applications, apply to college online, and write solid admission essays. Sign up for more than one FREE scholarship search service especially if the search engine is based on a personal profile. The more detailed the profile, the greater chances of finding one that matches your talents & goals. Online tool to help you locate scholarships, internships, grants, and loans that match your education level, talents, and background. Database of more than 2,300 sources of college funding, totaling nearly $3 BILLION in available aid! Find official college planning and preparation tools too. College Answer takes the guesswork out of planning and paying for college. Walks students and parents through the entire 'going-to-college' process—-from early planning and estimating costs to understanding student loans. access to a scholarship database containing more than 3 million scholarships worth over 16 billion dollars. CollegeNET has a huge database containing listings of more than 500,000 private sector awards from 1,570 sponsors. Students complete a personal profile to establish a permanent mailbox which they can check often, and both contain suggested form letters for every award. Apply, check status, & make changes to your financial aid application online. Free scholarship matching service, get student financial aid, and find money to pay for college. Check Your Financial Aid History. If you have a Pell Grant, Stafford Loan, PLUS Loan, or Consolidation Loan, find out all the details. ScholarshipExperts.com is a member of the Better Business Bureau and has been endorsed by Sallie Mae, Kaplan, and Yahoo! Education. Links to organizations that provide research, evaluation, and statistics, and is supported by the Department of Education. Math lessons and homework help for Basic Math, Algebra, Trigonometry, Geometry, Calculus, Statistics & other math courses. You'll also find calculators, games, reference tables, & test preparation tools. Check out their study tips. Hotmath.com - Math Textbook Answers Hotmath shows step-by-step answers to pre-algebra, algebra, geometry, and calculus textbook problems. Can't figure it out? More than 60 online math tools to check basic or more complicated math problems. TreeDBNotes stores and represents your information in a comfortable and clear tree-structured form. Each node in such 'tree' represents associated note, so you can store a lot of mostly independent notes in one notebook.